When it comes to industrial manufacturing, metal 3D printing is where the future is at. Providing the ability to manufacture intricate parts, which are often impossible to produce via casting and other methods, as well as saving time, money, and material within the production process, 3D printers will continue to expand their presence on the manufacturing floor. With all the benefits we’ve discussed with metal 3D printing, some may wonder why the technology is not catching on even faster. The problem? Prices are hindering the adoption of such machines within mid-size and smaller businesses, as a typical metal laser sintering machine can cost close to $1 million in many cases. Size is a another limiting factor, as the majority of these machines take up as much space, if not more, than a typical refrigerator. One Covington, Kentucky-based company, +Mfg LLC has been working on trying to find solutions to these problems. In doing so, they have developed a new type of metal 3D printer which they say is ‘revolutionary’. The +1000k, as it’s called, will be unveiled next week in Chicago, IL at Automate 2015. The printer, which utilizes an inert gas shielded arc to build an object up layer-by-layer, is also incredibly small for its capabilities. The patent pending technology relies on a MIG gun for an extruder. The build plate is copper, thus allowing direct deposition onto the plate itself. A quenchant tank is used to control the temperature of the part being printed, and stainless steel is used throughout the printer, making it incredibly robust and sturdy. The +1000k uses Parker automation controls to govern the machine’s motion. The printer uses a total of 5 axes, 3 for the Cartesian system, meant for moving the extruder, and an additional axis for both the build platform as well as a wrist for instrumentation. Tom Kruer, Co-founder +Mfg LLC. As for specifications of this new machine, the +1000k is able to print multiple metals in a single run at a rate of 2kgs an hour. Currently it’s able to fabricate an object using both aluminum and steel together, and the company says that additional metal capabilities are forthcoming. The build envelope for this machine, measuring 600mm x 900mm x 1200mm, is quite large for its footprint. As for the price, the company has yet to announce any figures as of yet. Co-founded by Jim Blackwood and Tom Kruer, +Mfg has been working diligently on this new machine for approximately two years now, and there is still work to be done before bringing the +1000k to market. 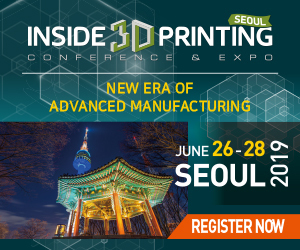 Currently they are relying on Slic3r, embedded in Repetier, to prepare G-code files for printing, but they say that a post processing script is still needed along with hand coding in order to optimize the print process. In addition, they are also looking for outside help in optimizing the deposition process, offering compensation in the form of equity or other arrangements to someone who is qualified and up to the challenge. If you are in the Chicago area between March 23-36, pay the company a visit at the Automate 2015 show. They will be presenting at booth #598. Let us know if you’ve checked out their printer and what your initial thoughts were. 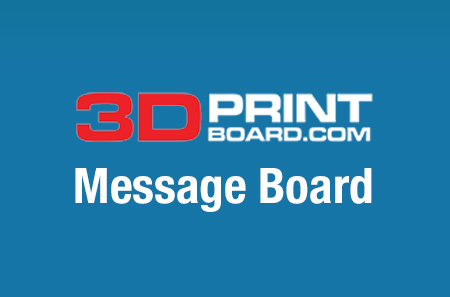 Discuss in the +Mfg +1000k forum thread on 3DPB.com.